Spring has sprung, and with the nice weather comes garden party season. Invite friends and family over to relax amid bushes of freshly bloomed flower and savor light, delicate eats like finger sandwiches. Smoked salmon and cream cheese are an irresistible flavor combination that's right at home at a garden party. With the Oster® Oskar™ 2-in-1 Salad Prep & Food Processor, you can punch up regular cream cheese with herbs and lemon juice to create tasty finger sandwiches that will fly off the platter. Add the cream cheese, olive oil, lemon juice, herbs, garlic powder and salt to the Food Processor Attachment of the Oster® Oskar™ 2-in-1 Salad Prep & Food Processor. Combine until smooth and creamy. Lay out the slices of bread, then use a rolling pin to flatten slices slightly. 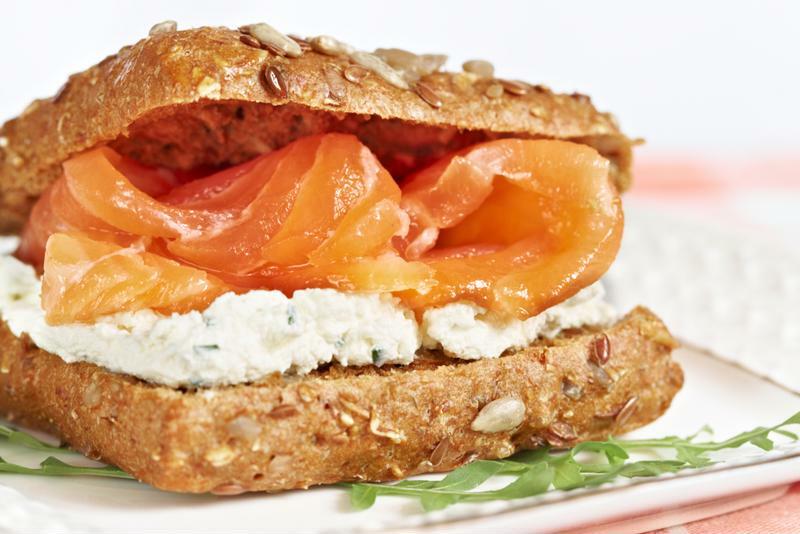 Spread bread slices with the herbed cream cheese, then top with smoked salmon pieces and a sprinkle of capers. Form sandwiches, then slice into triangles and serve. Make finger sandwiches with smoked salmon and cream cheese. A fresh, crisp salad made with juicy pears and creamy goat cheese is a tasty addition to your garden party. Make your own zesty vinaigrette for extra flavor. Place the lettuce mix in a large bowl. Add the sliced pears and celery. Use the Oster® Oskar™ 2-in-1 Salad Prep & Food Processor to slice the carrots into the bowl. Crumble the goat cheese and add to the salad, followed by the walnuts. In the Food Processor Attachment, combine all the dressing ingredients. Add to the salad and toss to coat lettuce before serving. 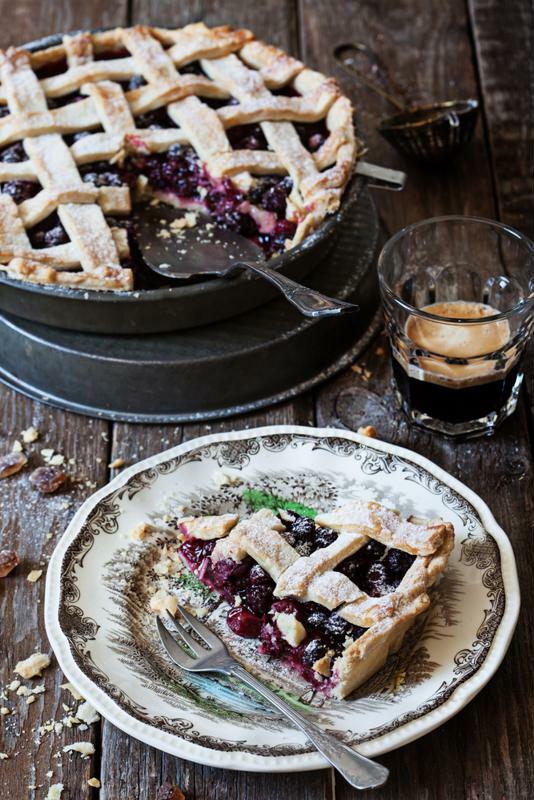 A blueberry pie is the perfect sweet treat to serve at a garden party. Cap off your garden party with a delectable pie that's divine with a cup of tea or a glass of lemonade. The crust is easy-to-make in a food processor. Add the flour, salt, sugar, butter and water to the Food Processor Attachment of the Oster® Oskar™ 2-in-1 Salad Prep & Food Processor. Combine until smooth and doughy. Remove from Food Processor Attachment and roll flat. Line a pie pan with a flat layer of the dough, and then set remaining dough aside to use to form lattice on top of pie. Next, add the blueberries, cornstarch, butter and sugar to a large bowl. Stir together until blueberries are fully covered in mixture. Pour filling into crust, then cover with remaining dough in a lattice pattern. Bake at 400 degrees for 25-30 minutes until crust is golden brown. Let pie cool on a rack. Sprinkle powdered sugar over pie before serving.